It’s happened to the best of us. Sitting in Berry at 11 p.m., earbuds jammed in and coffee an arm’s length away, we slide out our laptops and open up an unfinished essay, prepared for a long night of re-wording paragraphs and restructuring sentences. As the night drags on, the comments in the margin begin to blur together and the words on the screen start to lose their meaning; we skip over a few passages and forget to refine our focus, add a word that’s out of place and confuse our voice. We miss out on fully developing our work because the final draft is due tomorrow, and we don’t have the time nor the energy to fully devote ourselves to the process. As the hours pass by, and we reach the end of our attention span, we ask ourselves the evergreen question: why didn’t I start editing sooner? The process of editing is one that students often overlook, but in many regards, it is a process that should be given the same respect as the act of writing itself. Whether it be a creative piece or long-form magazine article or fiction novel, the editing process plays a central role in all kinds of written work. For professional writers, the revision process takes an extended period of time. 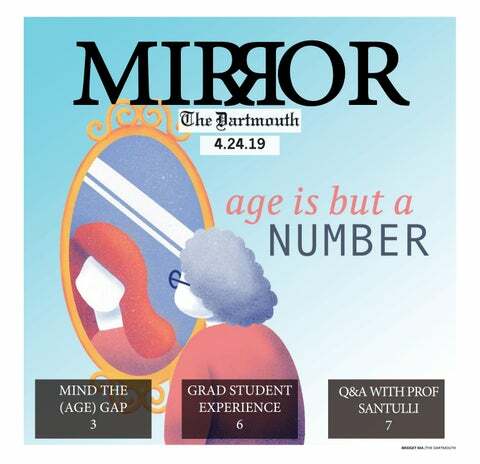 English professor Jeff Sharlet, editor and frequent magazine contributor, said that a long-form magazine story is tirelessly revised before publication. For example, Sharlet said that an article in The New Yorker easily goes through 10 to 30 drafts before appearing in the magazine. Regarding his own writing, Sharlet dedicates extensive time to the editing stage to ensure every aspect of the piece fits and flows. But in a process that may take professional writers months or years to complete, how do they know where to begin? English professor Thomas O’Malley, director of creative writing, believes that the writer must be fully involved in the work before even considering starting revisions. Similarly, English professor William Craig believes it is a mistake for writers to begin editing before completing a first draft. As the revision process progresses, the writer may choose to edit for different aspects with each subsequent draft. Craig believes that editing for sense and form often happens in the second or third draft, while more elusive aspects, such as voice, are often developed over time and become more apparent as the writer delves into the revision process. O’Malley believes multiple drafts are necessary for the writer to become more objective in his edits. By the sixth or seventh draft, he says that the writer develops a greater sense of what should remain and what should be cut. At some point, every writer must decide to finish the article or end the story, and depending on the kind of writing, this sense of completion comes about in different ways. For O’Malley, a book is complete when his mind is no longer generating material or ideas for his work. For other kinds of writing, oftentimes the writer must end the process as a matter of necessity. The relationship between a writer and his or her editor is essential to producing the ideal final product. Sharlet believes that the most effective author-editor relationships are ones in which neither person is afraid to argue with the other. While it may be easy to assume that those with the most writing experience make for the best editors, there are certain characteristics that distinguish great editors from great writers. Sharlet echoed the thoughts of Craig and even more firmly believes that the best editors do not need to be writers themselves. In contrast, with editing for creative writing, O’Malley believes that creative writers make the best creative editors. When O’Malley reaches his final draft, he often asks for feedback from a few trusted writers before bringing the copy to his editor. Students may not have access to professional writers or editors, but there are still many ways they can improve their writing and editing. Sharlet’s advice to students in the editing process is to read their work out loud to an unbiased party. Additionally, Craig believes that students with good time management skills will have the greatest success in their writing.